Diva Faustina II Sestertius, struck 176 AD at Rome mint. Obverse: DIVA FAVSTINA PIA, draped bust right. 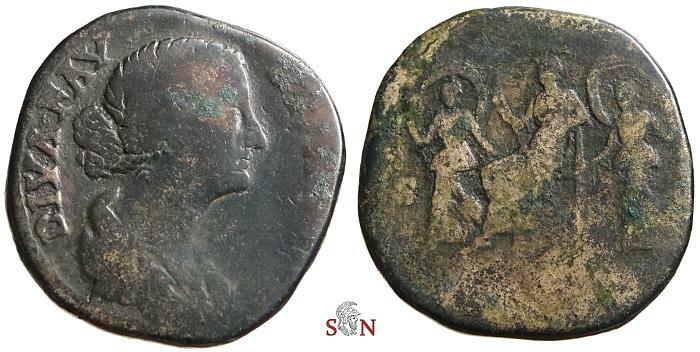 Reverse: AETERNITAS / S C, Faustina seated left, flanked by two dancing girls, holding veils over their heads. Probus Antoninianus - IMP C M AVR PROBVS P F INVICT AVG obv. legend - RIC 858 var.